Home > William H. Saunders, M.D. William Howerton Saunders, M.D., an ALA Emeritus Fellow, passed away on March 5, 2018 at the age of 98 years old. Dr. Saunders was inducted into the Association as an Active Fellow in 1964 and elevated to Emeritus status in 1989. Graduating in 1943 from the University of Iowa where he received his medical degree, he completed his residency in Otolaryngology at the University of Michigan in 1954. In 1954, he accepted an appointment as an Assistant Professor in the Department of Otolaryngology at The Ohio State University (OSU) College of Medicine. For 30 years, Dr. Saunders remained at OSU and of that time, he served as chairman of the department for 21 years, creating one of the nation’s most well-respected Otolaryngology programs in patient care, medical education and medical research, and garnering an international reputation for excellence. He held the position of professor from 1960 to 1985, and professor emeritus since 1985. Upon retirement, he was honored with the creation of the endowed William H. Saunders Chair in Otolaryngology at The Ohio State University and the William H. Saunders Lectureship Award that is presented to internationally renowned physicians for their accomplishments in patient care, research and education in Otolaryngology-Head and Neck Surgery. Dr. Saunders was a member of many prestigious societies including the American Otological Society, the American Society for Head and Neck Surgeons, the American College of Surgeons, the American Board of Otolaryngology, and the Ohio State Medical Association.  He served as president of the Triological Society and as vice president of both the American Board of Otolaryngology and the American Laryngological Association. He was an examiner for board certification for the American Board of Otolaryngology, and served as a consultant to Wright Patterson Air Force Base in Dayton, Ohio, and the Veterans Administration in Dayton and Columbus. Dr. Saunders was a recognized author of many medical textbooks that were translated into multiple languages, in addition to numerous scientific papers. He co-authored the Textbook of Otolaryngology with David DeWeese, M.D. which became the best-selling textbook of the specialty for several years. Dr. Saunders possessed many non-medical talents including being a registered gemologist. He and his wife, Putzi, combined their artistic talents to design jewelry which was sold at national Otolaryngology meetings to benefit the Deafness Research Foundation. In addition, he was an award-winning weaver of quilts that were initially designed by Putzi. Dr. Saunders was preceded in death by his parents, Mabel and Dr. William Saunders, a son, Danny Saunders, and daughter, Susan Chandler. He is survived by his wife of 59 years, Putzi Saunders, and three children, daughter, Elaine (Joe) Rainwater of Charlottesville, Virginia; sons, Tom (Jennifer) Saunders of Portland, Oregon; Mike Saunders of Boulder, Colorado, and son-in-law, David Chandler of Sydney, Australia, He also leaves to cherish his memory, four grandchildren, Christopher Rainwater (Lyndhurst, New Jersey), Tom Chandler and Elizabeth Flack (Sydney, Australia) Maggie Chandler (New York, New York) , and Gregory and Daniel Saunders (Portland, Oregon). The family requests in lieu of flowers, that donations be made to the W.H. Saunders, M.D. Chair Fund in Otolaryngology, OSU Wexner Medical Center, P.O. Box 183112, Columbus, Ohio 43218.